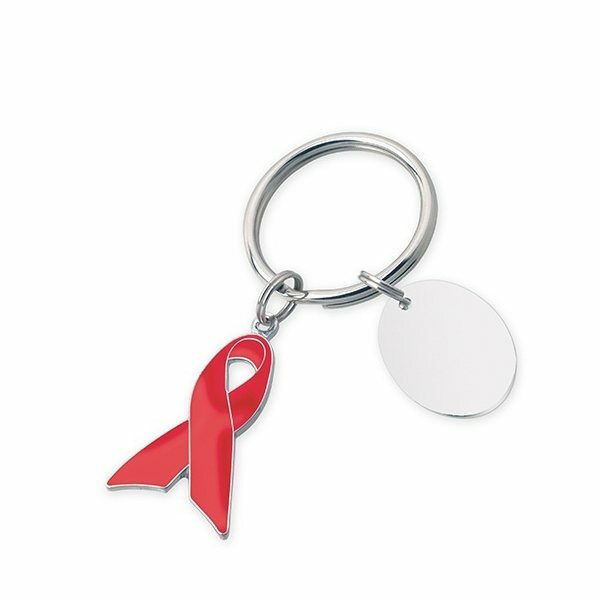 Split-ring keychain with red AIDS Awareness ribbon charm and oval hang tag. Hand-polished nickel finish and soft enamel keyholder with hand-polished nickel finish hang tag. Excellent! the product was well put together and professional. My staff have greatly enjoyed using them. Great item and repair!Great job!We got this item to promote our run/walk event for our employees. They are just what we were looking for. Great value; great product; great service! I had been pleased with the quality and loved the fact that it may be recycled if broken.